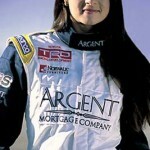 Wizbang first introduced our readers to Danica Patrick before the Indianapolis 500 in 2005. Since then she’s gone on to fame, fortune, and NASCAR. Though she has but a single victory to her name since she started racing professionally in 2000, she’s become more famous every year. And now she’s single again. To celebrate we’re recycling some of our best Danica pictures from over the years. Enjoy!